Check out these math learning websites, designed to build comprehension as well as confidence. Classrooms are diverse. And while we applaud the unique talents our students bring, they can make it tough to differentiate lessons effectively. Few scenarios are more frustrating for teachers than watching a student lose enthusiasm for learning. In a quest to address the wide range of abilities in today's classrooms, new ed tech tools offer learning opportunities to meet the individual with just the right balance of challenge and success. Adaptive learning — where data informs a customized learning path for each student — has been on many ed tech trends lists in recent years. In a short amount of time, many adaptive learning programs have come a long way in designing engaging lessons and offering truly personalized supports. As with any new education solution, teachers should continue to ask discerning questions to decide what's best for their students. Based on the answers, teachers may find a compelling case for the integration of adaptive technology in their classroom instruction. If you're looking for an adaptive math tool, check out the four tools here, which provide live teacher feedback, individual learning profiles, and lesson flexibility to stand apart and help us realize the potential for true personalized learning. 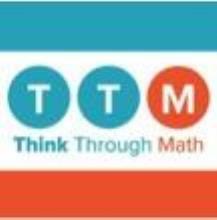 Think Through Math uses a multi-step approach to teach math skills for use in primary or supplemental instruction. Adaptive placement tests create a baseline for the engaging individualized lessons, while the detailed teacher dashboard tracks progress. The learning supports are where the program really begins to shine. The unique Guided Learning feature allows students access to a live teacher for personalized assistance, while a rewards system, national contests and charity donations keep student confidence high. 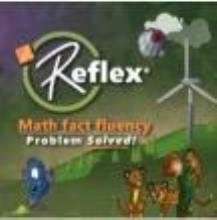 Teachers love Reflex: Math Fact Fluency, a website where younger students play addictive games to practice math facts and master all four operations. Students begin each game with rules and must demonstrate understanding before developing speed. The games are adaptive and remove facts the students have already learned to counter the boredom that comes with repetition. With parents and teachers able to view progress reports, and colorful characters providing feedback, students are sure to feel empowered. 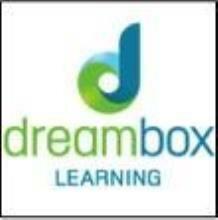 DreamBox Learning Math provides a game-like atmosphere to entice students to learn and practice math skills. As students play through the interactive activities, the program adjusts the difficulty based on previous problems, allowing students to try problems above or below grade level. Whether practicing in class or at home, students can use the self-paced program to receive immediate feedback and work at their individual skill levels. This adaptive learning program can be used regularly to supplement classroom lessons. Through the dashboard, teachers have a comprehensive set of tools to create and assign lessons to an individual student or to the entire class. 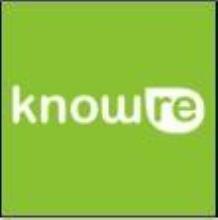 With solid supporting videos and step-by-step instructions, Knowre helps teachers assess student mastery and areas of additional assistance by building a learning profile of individual strengths and weaknesses over time. Danny Wagner is manager of STEM education content at Common Sense Media.